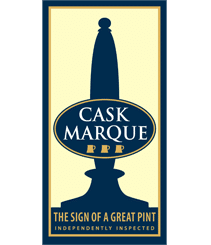 Cask beer, also known as real beer, cask ale, cask conditioned beer and real ale is what we are all passionate about, but what’s the difference between cask and lager or keg ales? If the cask is lying on a horizontally on a stillage, the beer is conditioned (or prepared for sale) by venting (allowing the excess CO2 to be vented off into the atmosphere). This is done by knocking a hard wooden peg through the bung (the SHIVE) in the top of the cask, and replacing it with a soft breathable wooden peg. A tap is then knocked through the bung in the front flat end of the cask (the KEYSTONE). The beer line will be attached onto this tap. Most cask beers will take up to 3 days to fully condition. They are ready when the beer is clear, has a fresh aroma and the taste matches the brewer’s description. If the cask is in an upright position it needs to be conditioned slightly differently. Some pubs use VERTICAL EXTRACTION RODS as this saves space in the cellar. The beer is vented by inserting a SHANK into the keystone and a tap is turned on to allow the beer to breathe. A long tube is then inserted through the shank into the beer. This is an extractor rod. The beer line is attached onto the extractor rod. Once the beer goes on sale, it is exposed to air. For every pint of beer dispensed, a pint of air goes into the cask. As it is a fresh product, we recommend cask beer should be sold within three days. If cask beer is on sale for more than three days it can pick up vinegary flavours (OXIDISATION), or stale papery flavours. When the beer is being dispensed, a soft peg should be placed in the shive, or the shank turned to the ‘on’ position. This allows air to be drawn into the cask and prevents a vacuum being created in the beer line. When the pub is closed, the beer should be sealed up by placing a hard wooden peg in the shive, or turning the shank to the ‘off’ position. This keeps the beer is perfect condition for the following day. The cellar should be scrupulously hygienic and all equipment used to condition and serve the cask should be clean. Otherwise, the beer may become infected. And most importantly of all, unlike keg products cask ale is a product which can only be experienced in its full glory in the pub! Keg beer are different from cask beers. Certain keg beers are dispensed from a format known as ‘Key keg’. The beer in the keg has sediment so it still needs settling after delivery, but it is forced from the container using gas pressure, and served colder than cask. 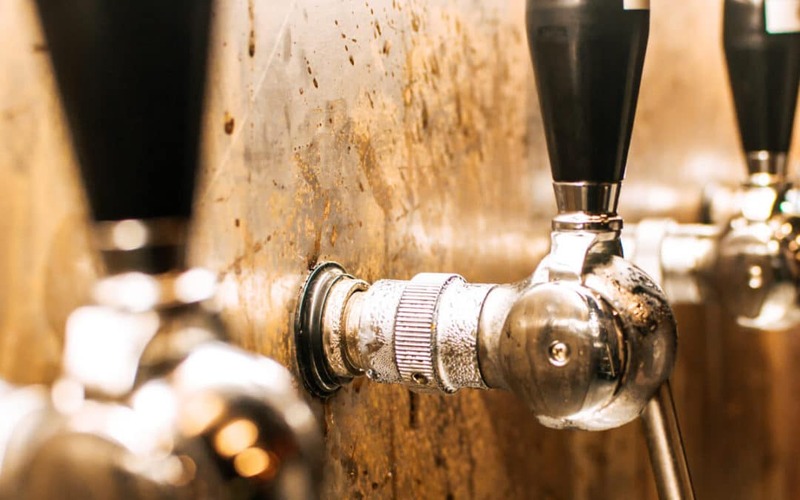 Most mass produced keg beers are brewery conditioned: they undergo fermentation, are cold stabilised in the brewery and are then pasteurised or sterile filtered. Can be identified by the type of font or tap (they are served by switching on rather than pulling through) on the bar. In the cellar, kegs will be stood on end for dispensing with a coupler attached to the single aperture which feeds gas into the keg to push the beer towards the bar. Not all keg beers are produced by our multi national brewers. A number of smaller breweries have invested in the equipment needed to dispense keg beers. In a competitive cask market, this gives them access to sports clubs, restaurants etc which may not have the cellar space to serve traditional cask beer. Stouts are not necessarily keg beers.